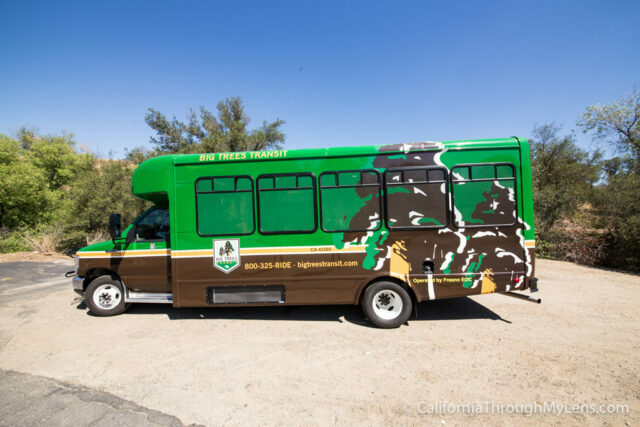 If you are staying in the Fresno / Sanger area and you want a nice relaxing way to visit Kings Canyon National Park then you really should check out Big Trees Transit. This shuttle service costs $15 and that includes entrance in the park. 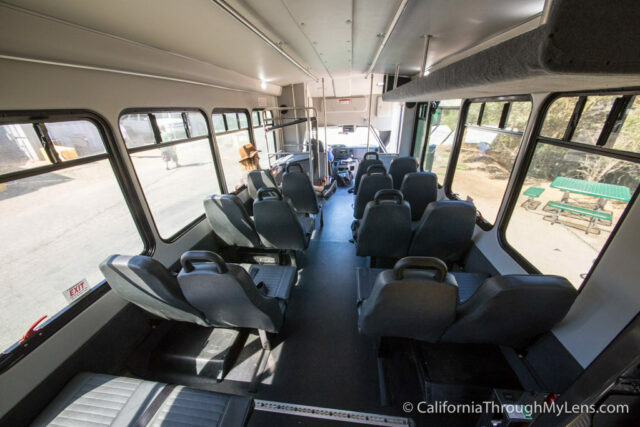 It picks up from both downtown Fresno and from Sanger, runs multiple times per day and allows you to just relax while they do the driving into the park. I had the opportunity to do it a few weeks ago and here is all the information about how it works and what you can see on it. After booking my tickets online (must book them in advance) my wife and I arrived at our pickup location in downtown Sanger and got there about 10 minutes early to wait for the shuttle. The shuttle arrived on time and we were the only ones on it. It was a peaceful and relaxing ride in the comfortable chairs. 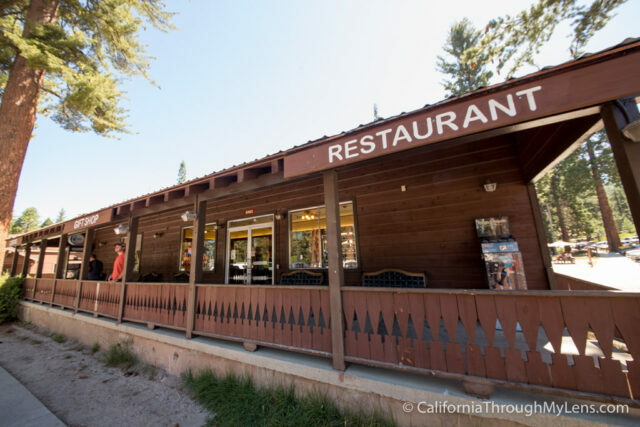 They even have a 15 minute stop at Squaw Valley area so that you can buy snacks and use the restroom. About and hour and 15 minutes from the time we got picked up (2 hours from Fresno) we had made it to the park and were able to begin our exploration. While this shuttle doesn’t go all the way into the canyon itself there is still enough to do where it drops off for a full day adventure in the park. Here is what we saw and how long each area took. This is where you will be dropped off at when you enter the park. I would recommend exploring the visitors center first, grabbing a map and watching the informational 20 minute video they have on the park. From here you can also go to the restaurant across the way which has traditional American food, hot dog, hamburgers, etc for decent prices, here is the menu. You can also go to the market for food or ice cream here and hit the small gift shop. This is the central point for exploring the park so we were here multiple times to get food, drinks and ice cream. This is the most popular attraction in the park and one that you do not want to miss. 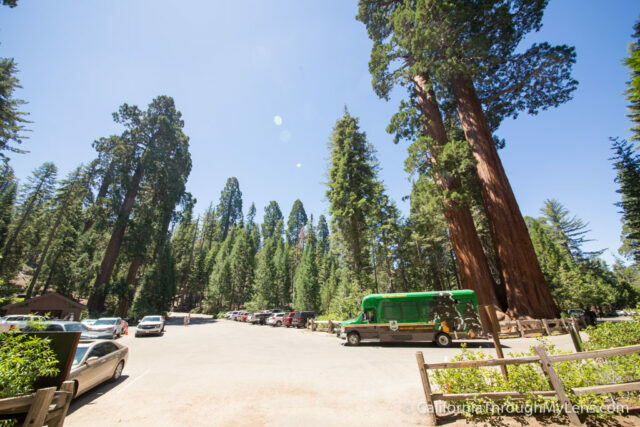 There are miles of trails here that lead you all over the mountainside and take you to some truly massive trees, the highlight of which is the General Grant Tree. 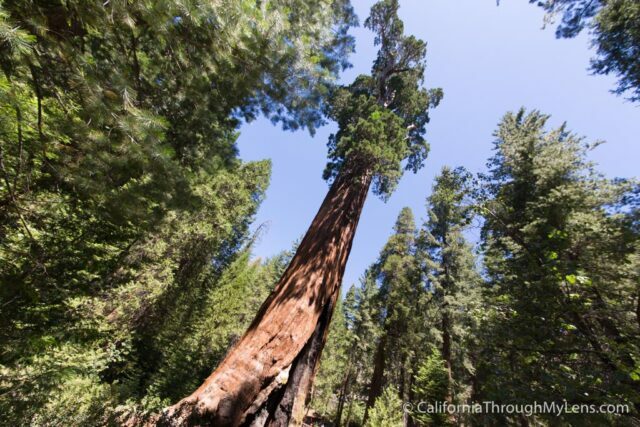 This is the third largest tree in the world by volume and the largest tree in the world for circumference. It is also the nations Christmas tree. 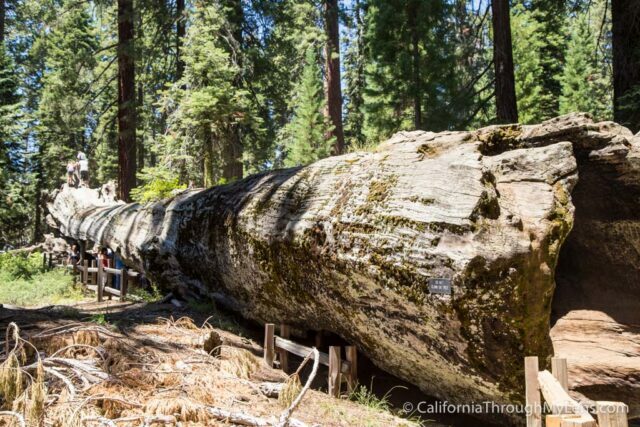 It can be accessed by a short hike that will show you a lot of other attractions as well, such as the fallen tree you can walk through, you can read about the trail in a separate post this week. This is the furthest area that the shuttle will take you to and it is all the way down near the parks entrance. This is a fantastic hike though, one that I really recommend you do. 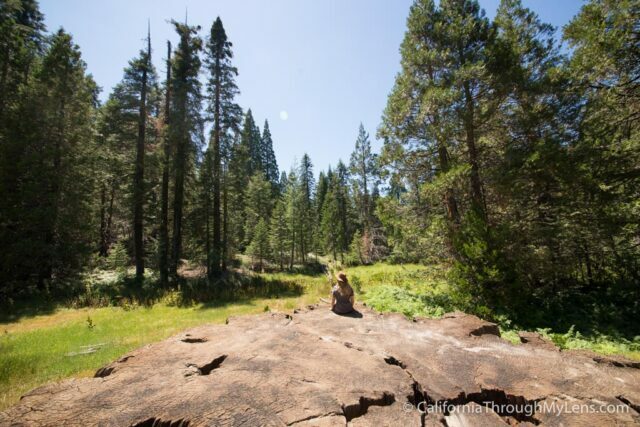 The hike itself is about 1.5 miles long and it is relatively flat with a few ups and downs. I recommend you get a map from the visitors center for this hike specifically as nothing is marked on the trail but there are a lot of things to see. 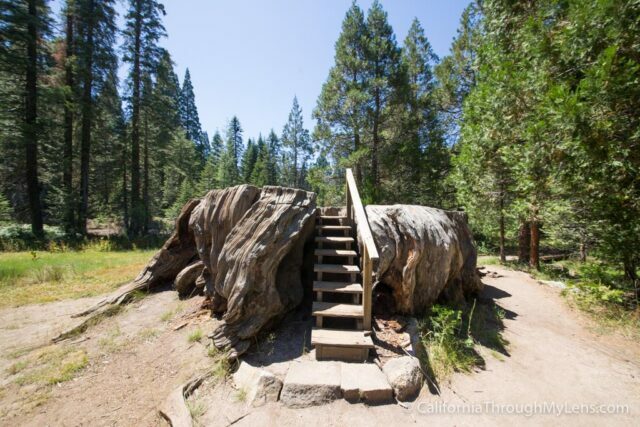 You can read my full post on the trail later this week but the main point of interest is the Mark Twain Stump which is the stump of a humongous old tree that they have built a series of steps up to so that you can climb onto it. This hike has a lot of other great attractions though as well and it is possible to hike from here over to the Giants Grove. There are two more campsites that the shuttle goes to. 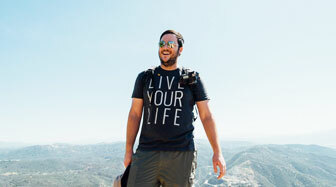 Each of them have hiking trails that you can do if you have time, one even goes to a waterfall. Also of note, you can hike to Panoramic Point from the stop at John Muir Lodge if you have time as well, which is a great hike with an amazing payoff view (yes, you can drive up to it in the summer but the shuttle doesn’t currently go there). The shuttle then leaves to head back down the hill at 3:30PM or 5:30PM, depending on when you want to leave. When I was researching the trip I had a lot of people tell me that there was not much to do in his section of the park that would warrant a day here, since the shuttle does not go into the actual canyon. That is far from the truth though, just riding the shuttle up here for a short half day and spending only $15 makes for a great way to escape the city and see some of the fun attractions this national park has to offer. There were multiple hikes I could have done that I didn’t even get a chance to do in the short time I was there. I highly recommend you check out this transit system if you live in one of the cities it connects with and spend some time hiking and gazing at the giants that await you when you arrive. Let me know if I left off any of your favorite spots in this part of the park in the comments below. 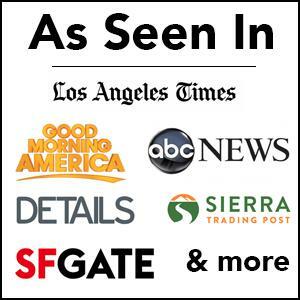 Disclaimer – The shuttle ride was provided to me free of charge, this did not influence my review.